Blowout Sale! 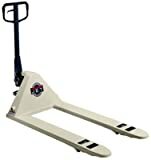 Up to 59% off on Pallet Trucks at UCBC Group. 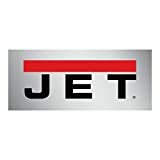 Top brands include Jet, Emedco, Liberator Brand, Magliner, Economizer, Liberator, Wesco, & Beacon World Class Products. Hurry! Limited time offers. Offers valid only while supplies last. Electric Hand Truck - BPEL Series; Platform Size (W x L): 24" x 19"; Lowered Height: 5-1/2"; Raised Height: 57"; Capacity (LBS): 175; Construction: Aluminum; Operation: 24V DC Power; Caster Size: 3"
Aluminum Hand Truck - BPALL Series; Platform Size (W x L): 17" x 14"; Service Range: 1" to 61"; Load Center: 7"; Capacity (LBS): 200; Straddle Width: 17-1/2"